Adding high resolution outdoor security cameras to your home or office security system is one of the best ways to protect your property and the people who live, work with or visit you. While a burglar alarm is often the first thing that comes to mind when thinking about protecting your home or office from intruders, security cameras are an integral component of any comprehensive security system. A burglar alarm won't alert you to the presence of an intruder until one has entered your home or office. A security camera can help deter, and even capture, would-be intruders before they ever get inside. One of the primary benefits of installing high resolution outdoor security cameras is the simple fact that having such devices can deter potential intruders from attempting to access your property. Additionally, in the event that someone does break in, the surveillance footage from the cameras can greatly increase the likelihood that the criminal can be identified and apprehended quickly. The peace of mind that can come from installing high resolution outdoor security cameras isn't limited to home invasions. With the increasing number of child abductions being reported in the media, parents are becoming increasingly concerned about the safety of their children. With a security camera system, you can be assured that anyone who tries to approach or abduct your children while they are in the yard will be recorded by the security cameras on your property. There are many different types of security cameras, and there is a big difference between indoor and outdoor units. Outdoor units must be able to withstand extreme weather conditions, and are constructed with specially designed heavy-duty casings to ensure that they will not be damaged as a result of extended exposure to the elements. One of the first decisions you will need to make is whether you will get a wired security camera system or one that is wireless. There are pros and cons to each type. Wireless systems can be easier to install initially, because they do not have to be connected to a power supply. Additionally, since they are not hard-wired, it is easy to move wireless cameras from one place to another. However, wireless systems run on internal batteries, and you will have to replace or recharge the batteries regularly to be certain they are functioning properly. Another drawback with wireless systems is that they can pick up interference from nearby electronic devices. However, when you choose wired outdoor security cameras, you have to run wiring to the areas where you want to install the cameras, or install them in locations where a power supply already exists. Keep in mind that your cameras won't deter burglars, kidnappers or other potential home invaders if they are not installed in areas where they are easily visible. If you don't have wiring in the right locations, you need to either run wiring to the right places or select wireless cameras that will work in high-visibility areas. When selecting a security camera system, image quality is an important consideration. It is very important that the playback images are easily discernible. Selecting high resolution cameras increases the likelihood that images recorded via the security camera will be clear enough. Color security cameras typically generate sharper images than black and white models, but don't work as well in low light conditions. 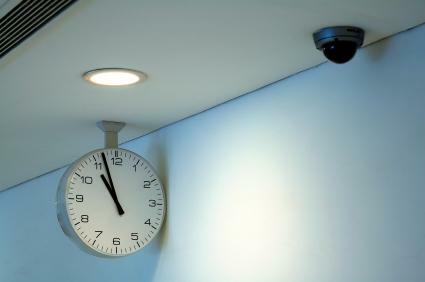 The newer high resolution security cameras either record directly to your computer system or to a DVD via a standalone recording device. Some systems record to VHS video tapes. Make sure that you have all equipment needed to properly record surveillance footage from your cameras. Depending on your comfort level with making decisions about and installing your camera system, you may want to enlist the services of an expert to help you determine the best solution for your security needs. If you are comfortable that you know what your needs are, you can purchase and set up your equipment yourself. The GE Security Pro Web site allows you to search for authorized GE security system professionals in your local area. ADT offers a free risk assessment and security review for homes and businesses of all sizes. EZ Toyz CCTV offers catalog and Web-based shopping for surveillance solutions. You can view live demos of their products on the Web site. Surveillance Video is an online and catalog-based retailer specializing in do-it-yourself surveillance systems. They carry professional grade security camera equipment and have been in the surveillance business for more than three decades. The NexTag comparison shopping site is a great resource for learning about different brands and features, as well as locating retailers who offer the best prices on security camera equipment. Don't wait until after you experience a home invasion or other problem to realize the importance of protecting your home or office with security cameras. The best time to take steps to protect the people and places that matter to you is right now.